The experience of walking through the booths and shopping for produce at a farmers market is moving online. 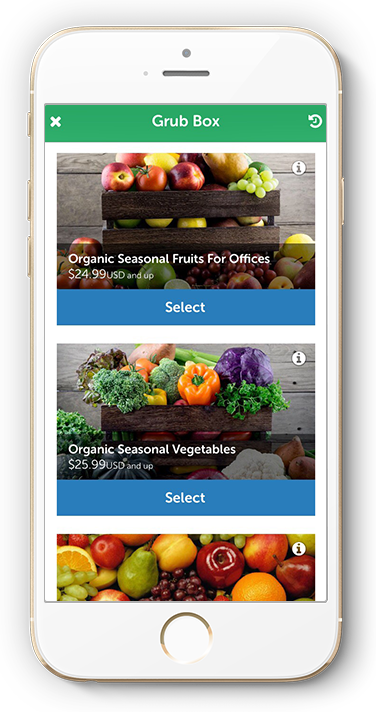 GrubMarket (YC W15) allows consumers to order fresh, locally-sourced food through their mobile and web apps. Once an order is processed, GrubMarket employees pick up the goods from the local producers and delivers the food right to the customer’s door. The company just closed a $10M series A led by Fosun Group with participation also coming from Y-Combinator, Battery Ventures, GGV and AME Cloud Ventures. Issues facing other on-demand organic food delivery startups like GoodEggs, which has been in a downward spiral after laying off 140 employees last month, have led GrubMarket to re-approach its own growth strategy. The company is suspending operations in all of their markets outside of San Francisco as they look to capitalize on the issues facing competitors and assert themselves to lead the pack in SF. For the scrappy GrubMarket, which only has around 25 employees at the moment, this realignment of resources comes at an early point where they had yet to invest much into any of these markets. As these companies continue to cease efforts in markets outside the Bay Area, one is left wondering what the market for organic food delivery really looks like. GrubMarket believes their evolving approach, which focuses on catering less exclusively to high income customers than other organic food delivery startups have, will separate them from other companies and allow them to succeed. GrubMarket CEO Mike Xu says that the prices from GrubMarket are very competitive with prices being twenty to fifty percent cheaper than those offered by other premium grocers. Another thing that differentiates them is Xu’s belief that foregoing warehouse food storage will offer them more flexibility and nimbleness as they quickly grow their operations. Indeed, GrubMarket says it has just delivered its millionth pound of fresh and healthy food, and had its largest delivery day ever this past week.